Stop Watching the News and Focus on the Agenda, Mr. President! 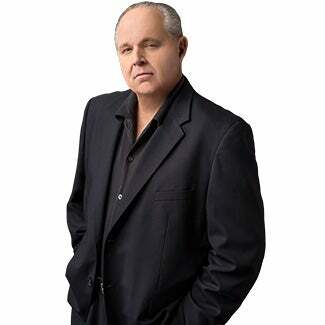 RUSH: Hey, look, folks, in addition to all this being personal, there’s one other aspect here that’s going on — and we must acknowledge this and get it out there. I have a suggestion to facilitate this. I have no doubt that the reason the media is carrying on this investigation is to get rid of Trump. Remember, now, it’s fundamentally important to understand that the media is running all of this opposition and this resistance. The Democrats are an arm of the media in this case. The Democrats are not, in other words, running the show and the media following them. It’s the other way around. The Democrats have a different agenda with this. The Democrats, the elected the Democrats are fine and dandy with the media trying to destroy Trump. But their objective is to stop Trump’s agenda in addition to stopping Trump as a human being. There are two stories here — actually, three. “Mining Starts to Recover After Obama’s War Against the Industry.” This is a long story about the great rebound in the mining industry, something Trump promised and has already engaged in. “Steel Industry, Seeing a New Dawn…” This is the New York Times: “Steel Industry, Seeing a New Dawn, Is Cheering for Trump.” The other story that’s important today is that Aetna has announced it’s leaving Obamacare next year. It’s leaving every Obamacare exchange! They cannot afford to stay in it. It’s another nail in the coffin of Obamacare. What this adds up to… Trump is not mentioned. Trump is not a target. Trump has made it clear. I think… I said earlier that I really think Trump needs to shuffle some advisers and get some people around him. He needs to stop watching the news, number one. Trust me on this. That’s why I don’t watch it anymore. I don’t. It’s an alternative reality anyway. It’s not what’s real. The steel industry is thriving; the mining industry is thriving. There’s too much to do! Tax reform, repealing Obamacare. He’s the guy that has to drive those things. It’s not gonna be driven in Congress. The legislation is not gonna come from K Street. He has to do it. The more he’s distracted by this stuff — which is one of its intentions. The media’s purpose is to destroy him. The Democrats want to distract him so the agenda can’t go forward. If Trump succeeds with his agenda, they’re not gonna win anything in ’18 or ’20. So Trump needs to stop getting bogged down. I don’t mind him tweeting because he’s the only guy reacting, but don’t watch and absorb all this stuff and have it govern what you think of the day every day. This stuff is poison. It’s, by definition, negative. It’s, by definition, destructive. It’s aimed at harming him. And all he’s watching is the evidence and the progress and the success every day that that movement to destroy him is having. Ah, you’re not distracted with the Russian investigation. You want to be distracted by it! Force it on ’em. You’re the guy that’s gonna drain the swamp. Go in there and drain it. Tell ’em what’s gonna be what-for. You don’t have to tell them why you fired Comey. Nobody deserves an explanation of the timing or anything else. He can fire whoever he wants! It’s the executive branch! He doesn’t owe anybody an explanation, and he doesn’t have to go defensive with it.